Celebrating Malala Day! @malalafund @malala #girlpowertrip « Adafruit Industries – Makers, hackers, artists, designers and engineers! Malala Yousafzai, named by her father Ziauddin after Pashtun heroine Malalai, was born on July 12, 1997, in Mingora, a small town in the Swat District of northwest Pakistan. Ziauddin was a known advocate for education in Pakistan and became an outspoken activist against the Taliban’s efforts to restrict girls’ access to school. Taking after her father, Malala became a passionate advocate for education for women and children around the world. In 2009, she began writing about her fears of militants for the BBC under a pseudonym. This led to death threats sent to both Malala and her father, but it did not stop them from fighting for the right to learn. In 2011 she received Pakistan’s first National Youth Peace Prize and was nominated for the International Children’s Peace Prize. Once Malala’s identity was revealed, the Taliban voted to kill her. On her way home from school one October afternoon in 2012, Malala’s school bus was stopped by the Taliban. It was then that Malala was called out by name and shot in the head — but she survived. The shooting made headlines around the world and led to protests across Pakistan. 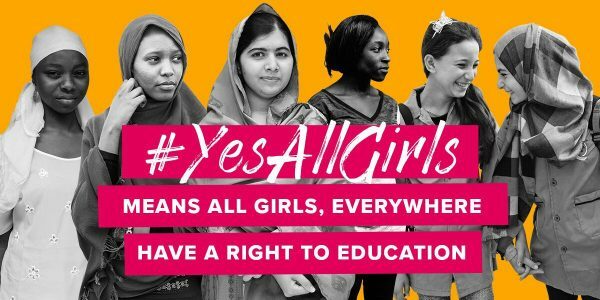 Pakistan eventually guaranteed education for girls under the Right To Free and Compulsory Education Bill. In 2013, the Malala Fund was established, and in 2014, Malala was the co-recipient of the Nobel Peace Prize. When the Taliban began attacking girls’ schools in her home region of Swat, Pakistan, 11-year-old Malala began to campaign for girls’ right to education. She gave a speech in Peshawar, Pakistan and began blogging for BBC Urdu about going to school during the Taliban occupation. 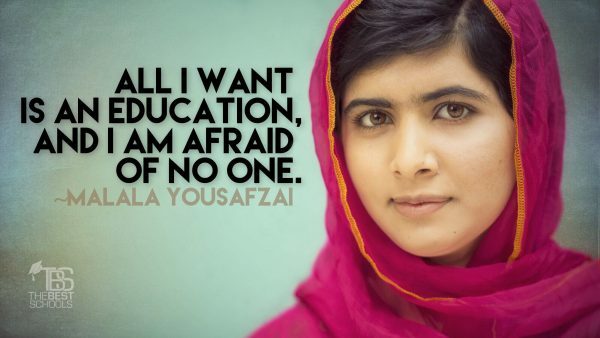 Malala started receiving death threats from the Taliban aged 14. Despite this, she carried on campaigning and going to school. Malala and her father co-founded the Malala Fund. The Fund exists to raise awareness of the social and economic impact of girls’ education and to empower girls around the world.